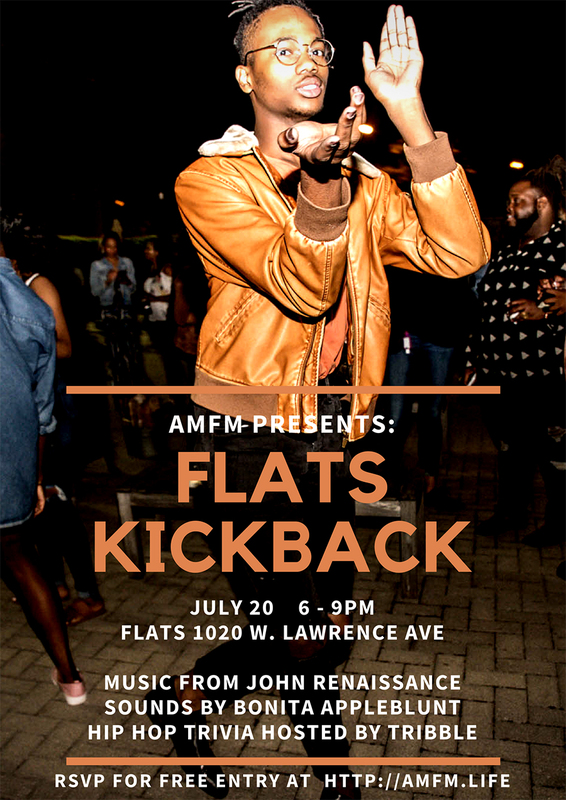 FLATSstudio, and AMFM, presented FLATS KICKBACK in the Uptown neighborhood on Thursday, July 20, 2017 at The Lawrence House (1020 W Lawrence Ave Chicago, IL 60640). Guests enjoyed an evening with picturesque backyard views and Chi-Town hip-hop and R & B grooves. AMFM supports emerging and established artists by offering a platform for them to showcase their talents and their passions on a larger scale. They feature in-depth Q&A’s and content with artists and creatives from all over the globe. AMFM curates and hosts monthly events combining the arts to cultivate community and good vibes.